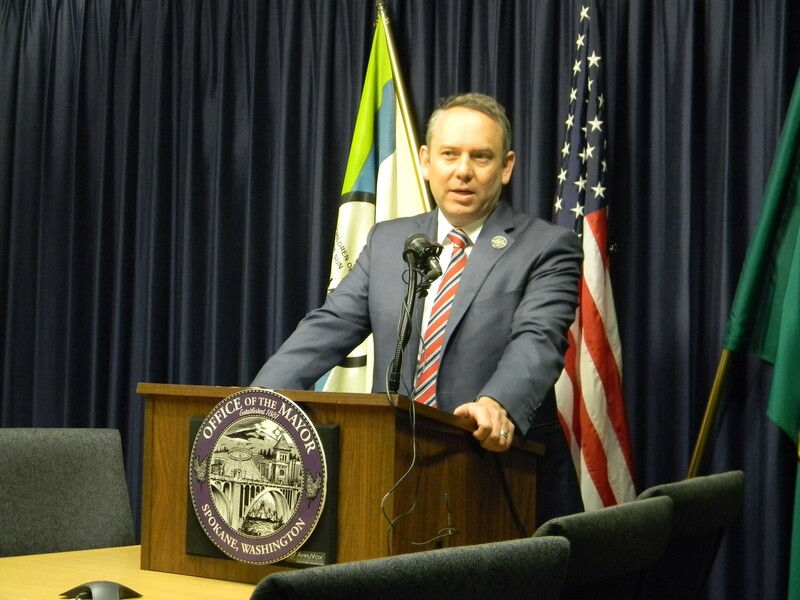 Mayor David Condon has responded to a list of questions from the Spokane City Council concerning his handling of allegations of sexual harassment made against ousted Police Chief Frank Straub by former police spokesperson Monique Cotton. The dust-up has drawn intense scrutiny from the press, which has filed extensive public records requests. The letter lists every request from the media. "[City Administrator Theresa] Sanders and I directed the City Attorney’s Office to look into concerns raised about Mr. Straub’s management style, specifically concerns expressed about his behavior during a meeting on March 31. From April 14 to April 16, the City Attorney’s Office interviewed those in attendance at the March 31 meeting and determined that concerns about Mr. Straub’s management style, use of inappropriate language, and offensive demeanor existed." "Ms. Cotton made the decision independently and retained counsel before coming to us. A City employee has access to a large array of resources when he or she believes him or herself to have been a victim of sexual harassment, including whether or not to file a formal complaint." City council and the mayor are preparing to open an investigation into the matter. The U.S. Attorney’s Office will propose an investigator. Council President Ben Stuckart, in a text to the Inlander, stated "I will let the mayor's responses stand on their own. We are now starting an investigation and I want to let that move forward with these answers. I will let the investigation speak for me."